Kasey and Michael were married last month in downtown Raleigh at the Stockroom at 230, and we were so happy to be a part of their amazing wedding! In the coming weeks, we’ll definitely be swooning over and sharing images by Taylor from Blue Barn Photography, but I couldn’t resist sharing one of the first weddings to our incredible 2017 wedding season now. 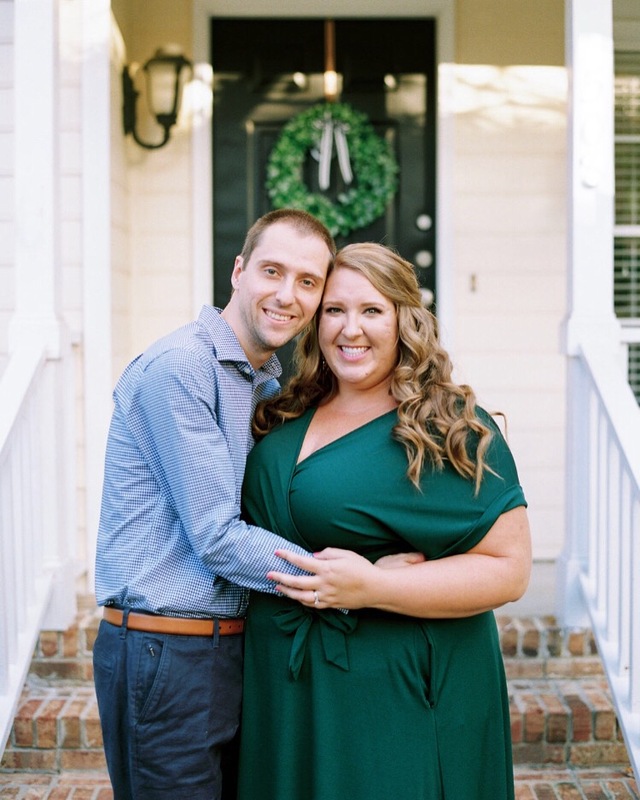 These two are so wonderful, and I’m so happy they entrusted their destination wedding to me, as Kasey alnd Michael live in NYC and chose to get married in Raleigh, where Kasey’s parents now live. Most of our planning was done via email or Google hangout, and I only had the chance to meet with them in person twice before their wedding weekend… but I knew from the beginning how special they are and how much fun it would be to work with them on their wedding! Kasey has phenomenal style, and she totally showcased that in every detail of their wedding, from the champagne, dusty rose, and neutral palette to her bridal style (check out her stunning dress and killer heels!) to her bridesmaid attire. Kasey also has gorgeous penmanship and calligraphy, and many of the day-of details featured her own lettering, a personal touch that I adore. And these two are one of the most kind-hearted, fun-loving, wonderful couples in the world! You could tell how much they love each other throughout every interaction and during the entire wedding day. Their sweet first look brought me to tears, as did their ceremony. So much thought was poured into every detail, and it was a dream to bring their wedding to life and to work with them throughout their engagement! And Kasey left the world’s sweetest review of Stephanie Scholl Events on Wedding Wire – I definitely teared up reading this! What a wonderful, thoughtful woman and bride!! Yep, I have the world’s best clients! Next > You’re Engaged… Now What?